There is a danger with blogs. I speak from experience! Perhaps that is why I have very limited personal engagement with social media, as it has the potential to send my analytical, sensitive, visual self into unwanted places. But surely we all know that there are failures and messes and bloopers to every beautifully edited post. We are people! I am reading a great book called The Gifts of Imperfection, by Brene Brown that is inspiring and relieving and calling us to live a connected, compassionate and courageous life of whole hearted living. If you are anything like me, you should read it…it might change your life. My home is not tidy much of the time: emotionally or physically or logistically. It is a wild, wonderful ride in our household and we make mistakes, in the kitchen and in our days, but we also have a love of learning, living deeply, and being creative, even if it means making mistakes and messes along the way. Living Juicy is what SARK (creative artist and writer) calls this. Messes and mishaps are no strangers to my kitchen. In fact, in the past 3 weeks I have had three. Each time, Dave says, “take a photo of THAT!” and we have. 1. 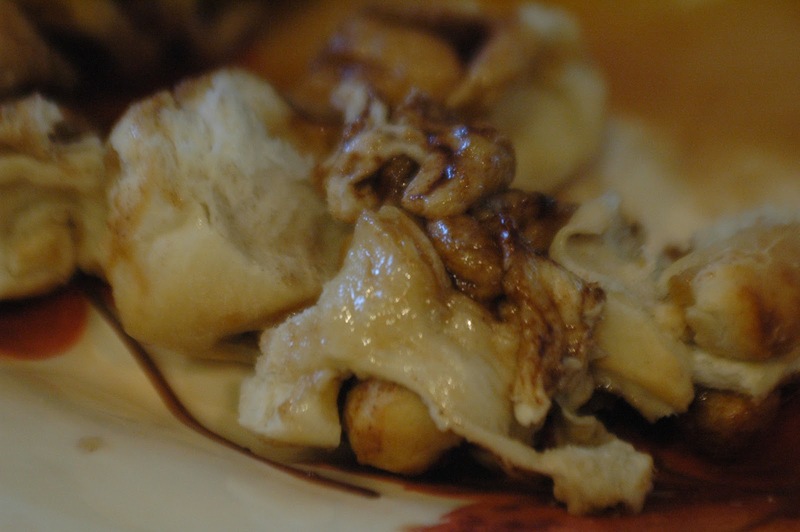 I undercooked the sticky buns I was making for Sunday morning last week and the first pan resembled warm dough. (I always err on the side of under-baking, because I want to avoid: dry, burned, crunchy, over-cooked baked goods). 2. 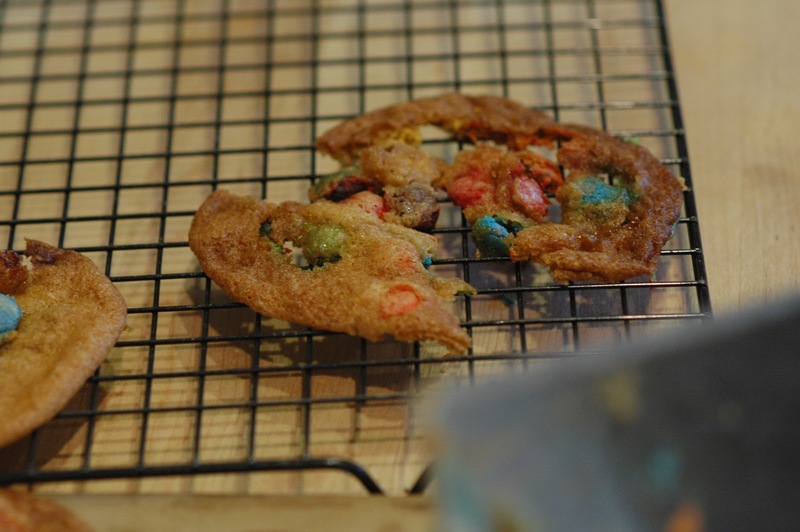 I tried a new recipe for M&M cookies, which spread all over the pan and were still doughy in the middle when they became overcooked on the edges and then were stuck to the pan. URG! capture the full mess in a photo! 3. 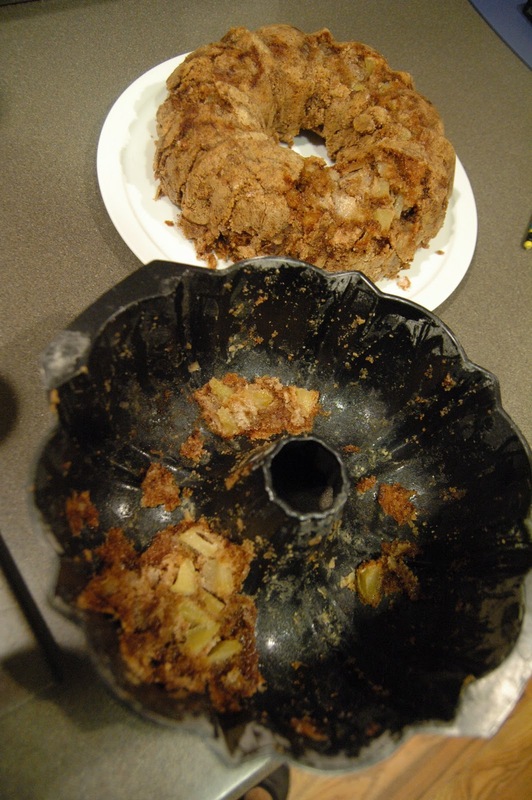 Half of my apple cake stuck to my pan when I made one, the week after my Apple Cake post. But there are lessons to be learned through the mishaps. 1. 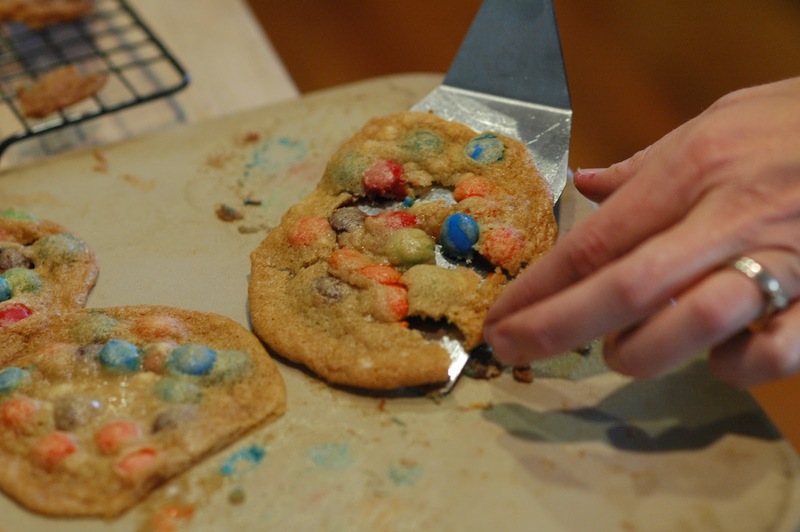 Trying a new recipe when the stakes are high is foolish– Dave reminded me of this the other day when I was making those failed M&M cookies on the morning of a fundraiser bake sale…DUMB, foolish! 2. If at first you don’t succeed try, try again (at least 2 tries then ditch the recipe- there are other recipes in the sea). 3. Get creative with the mess-ups. Cakes that fall apart provide a great beginning for Trifles. (Trifle definition: beautifully layered dessert ie: chocolate cake, pudding, whip and candy bars OR pound cake, whip, yogurt and berries); those torn M&M cookies made a great topping for ice cream. 4. Don’t let it get you down. In my house we say, “Oh well!” when we bomb something and can’t do a thing about it (and are tempted to cry or scream or throw a tantrum). When water is spilt, or we break a dish, or have cookies cemented to a baking sheet, we push ourselves to say, “oh well!” and then proceed to clean up the mess. 5. Learn from your mistakes (in the kitchen and in life). We live and learn. Try to think about what happened, where the breakdown occurred and make note of this to help prevent it from happening in the future. 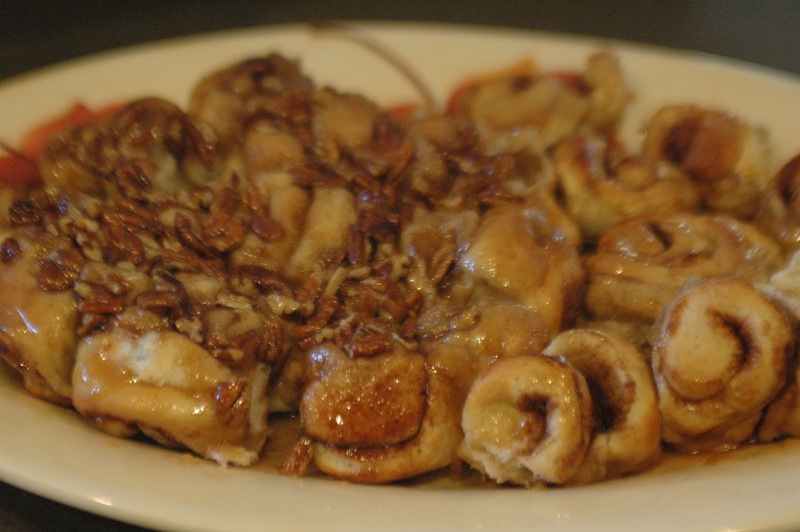 For those hoping for a recipe today, rather than a confessional, I have linked the sticky buns…and another post is coming in the next couple of days with one of my favorite recipes. Cranberries are in…better stock up! Such a great perspective! Thanks for sharing, repurposed mistakes and all. Julie, I love this post! This was one of my favorite posts! Too many home/food/garden blogs are too perfect; this put everything into perspective, especially as the holidays are upon us. Thank you! Jana, thanks for reading and commenting and admiring! I am glad to hear from you!